Extend the value of CA Agile Central with qTest, the most powerful test management solution for scaling software testing with your enterprise agile planning initiatives. 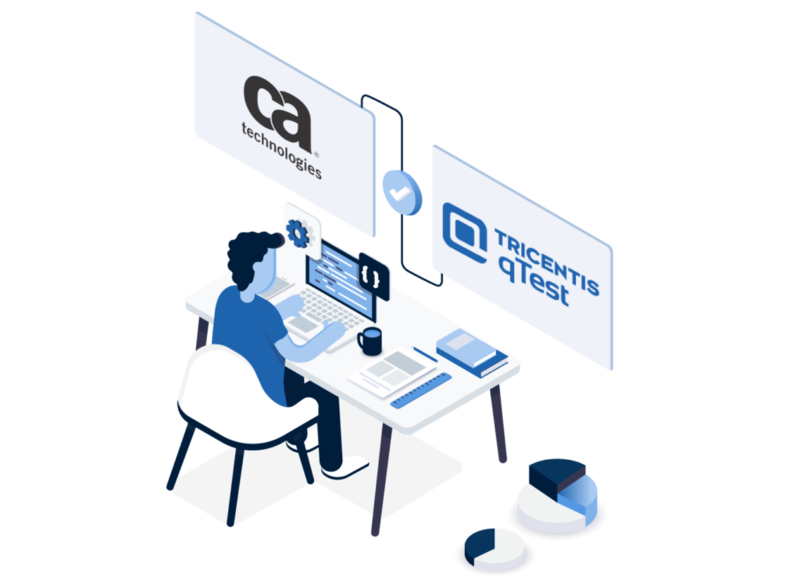 Tricentis qTest integrates in real time with CA Agile Central to improve test management visibility and collaboration for agile teams. Product owners and developers will always be up to speed on what test cases are validating CA Agile Central user stories through our real-time integration. When testers find a defect during a test run executions, qTest’s integration with CA Agile will open a native window for rapid defect submission. All defects reported in CA Agile will contain the test case summary, steps to reproduce and any custom test run details so development can quickly work on resolving the defect. Integration with CA user stories is made simple when you leverage a project filters, which allows testers to pinpoint which user stories they need to test per sprint. When your agile teams update user stories or edit defect property values, qTest automatically updates in real time so testers are always in sync. Tricentis qTest auto-populates test steps, and environment details so developers can close defects faster.